Looking for cost-effective 24/7-surveillance - indoors or outdoors? 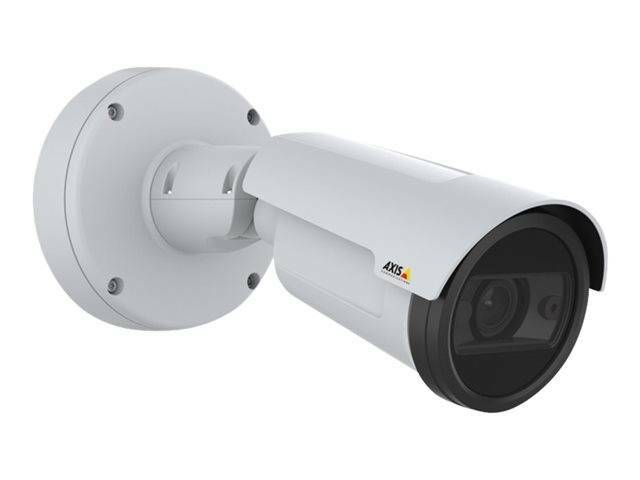 AXIS P1448-LE Network Camera has you covered. A sturdy and flexible camera with a long list of great Axis features, AXIS P1448-LE is ideal for a multitude of purposes. It's also the first camera in the P14 Series with both 4K resolution and built-in IR. AXIS P1448-LE captures still or motion-filled footage in high resolution and under difficult light conditions - including complete darkness. That's because it delivers 4K resolution at 25/30 fps and features all brilliant Axis light-compensating features. There's Axis Forensic WDR for clarity when there are both dark and light areas in the scene. P-iris for optimal depth of field, resolution and image contrast. Axis Lightfinder for color images in near darkness. And Axis OptimizedIR, which fully illuminates completely dark scenes for up to 25 meters (82 ft). AXIS P1448-LE is brilliant for indoor surveillance. Plus it features shock detection, impact resistance with IK10 and the ability to withstand temperatures from -40 °C to 60 °C (-40 °F to 140 °F). So AXIS P1448-LE also delivers impressive results outdoors and in harsh environments. In addition to excellent image quality in any light, almost anywhere, AXIS P1448-LE also offers - more! It has extra capacity for onboard analytics as well as video with audio. You can add additional functionality thanks to I/O ports. And features like remote zoom and auto rotate for corridor format keep installation fast and cost effective. Plus, Axis Zipstream preserves important details in full image quality, while reducing storage and bandwidth by up to 50%. The result is high-quality images and significant savings. Type 8 MP CMOS 1/2.5"